The Indiana Utility Regulatory Commission (IURC) has denied a $16 million rate increase to Indianapolis Power & Light Co. (IPL), according to a report by the IndyStar. IPL requested the increase in order to help fund the electric carsharing company BlueIndy’s charging stations. IPL has until early March to appeal the decision; otherwise, the city and IPL will need to find alternative funding for the chargers, says the report. The Commission reduced an agreement among the city of Indianapolis, IPL and the Office of Utility Consumer Counselor to charge all Indianapolis electric customers 28 cents a month to cover the $16 million cost to IPL to build the powering stations, according to the report. Instead, the IURC said IPL could pass along only $3 million in costs to extend power lines to the stations, says the report. "We ultimately determined that there was insufficient evidence to justify the use of ratepayer funds to install infrastructure owned by a private company," Commission Chairwoman Carol Stephan told the IndyStar. 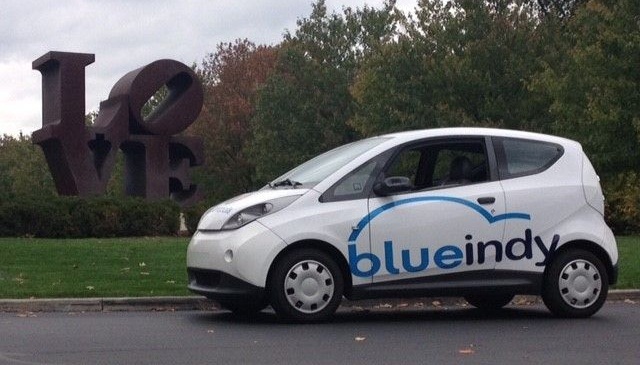 The BlueIndy electric carsharing program is expected to launch in 2015. “Despite this finding, the city remains committed to working with our partners … to implement a successful electric vehicle carshare program for the benefit of our entire community,” Mayor Greg Ballard told the IndyStar.